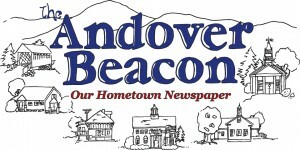 The Beacon has asked me to offer some reflections on my ten years as a selectwoman, and I think it’s a valuable exercise, because going cold turkey off the Board is a bit jarring, it turns out. The Select Board’s office is administered by, you guessed it, the Town Administrator. 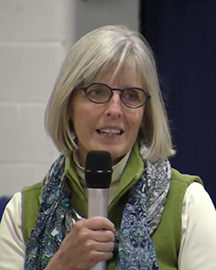 Marj Roy keeps a positive attitude as she wears the many hats required in this small town position. She not only administers the business of the Select Board, but she also wears the hat of the Welfare Officer and Health Officer. Talk about herding cats. This is the hub into which all town business flows. From there it is handled directly, or moved on to the appropriate boards or committees. The scope of issues that come before the town is broad to say the least. Everything from potholes to recycling, welfare, hazard mitigation plans, bridge replacement, Boy Scout and Girl Scout projects, you get the picture. As a Select Board member, you are in the loop, until one March Town Meeting Day, and someone else takes your place. In ten years, I have sat on the Board with many wonderful people: Dennis Fenton, Roger Godwin, Jake Johnson, Don Gross, Jim Danforth, Duncan Coolidge, Jim Delaney, Dave Blinn and Chuck Keyser. All of these people decided to give up hours and hours of their time for an opportunity to serve the people of Andover or to give back to the town in thanks for the many wonderful things this community offers. The best part about serving on any board, is getting to know the people you work with. That includes other board and committee members, specialists from the State Offices, bridge engineers, all the people who work on the town roads, the staff at the transfer station, people who market our recyclables, local town officials from neighboring towns. It’s impressive when you realize how many people volunteer their time for their communities. One of my favorite things that I did as a selectwoman was to perambulate the Andover/Wilmot town boundary last November with Wilmot selectman Nick Brodich and Planning Board member Paul Currier. The nine hour hike was guided by local forester Tim Wallace, and took us from the shoulder of Mt. Kearsarge to the side of Ragged Mountain above the Fish and Game Club. I learned a new word that day- “grauple”, a tiny round snow pellet that looks like tapioca, and it showered on us throughout the afternoon. I could never list all the important changes that have come about over the past ten years. Some of these had only minimal involvement with the Select Board, and others are a result of years of work. I’ll list a few that have had a great impact on our town: the combining of the East Andover and Andover Fire Precincts; beginning the process of building a Highway Department; bringing the Town Office into the 21st century with up to date computer technology and staffing; creating a Transfer Station that is flexible and able to deal with a constantly changing recycling market and providing a clean and safe office there for staff and residents; welcoming a new Chief of Police and budgeting for a second full-time officer; joining with the City of Franklin to provide improved Emergency Medical Services, and improving the energy efficiency of the Town Office/Library Building. Thank you to all who gave me the opportunity to serve on the Select Board for so many years. And don’t forget to say “thank you” every now and then to all the folks who keep this community going. If you don’t know who they are, take a look at the full page of volunteers at the beginning of the town report!